The main goal of this workshop is to contribute to discuss the concept of cultural action in European museums and the relationship between education and cultural action. The idea is to bring together museums professionals, cultural mediators, educators, education professionals and students to contribute with ideas about what does the expression “cultural action” . 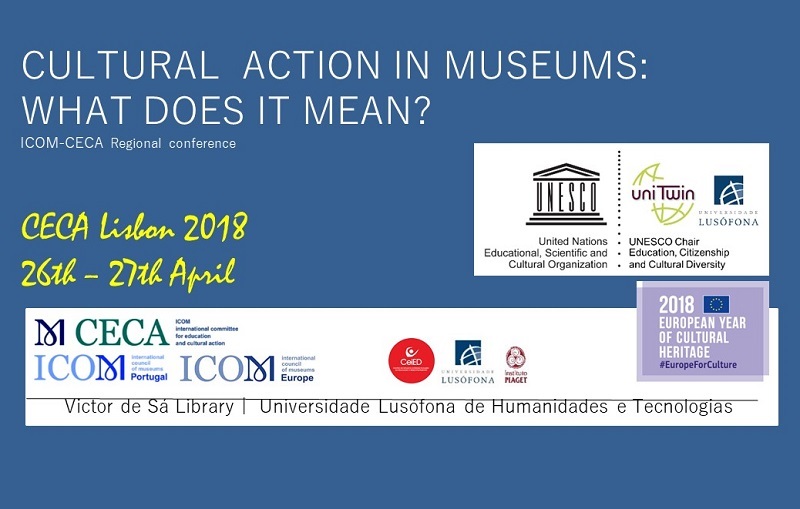 With the ideas and conclusions of this workshop it will be presented in CECA – Annual Conference: Museums, Education and Cultural Action: Between Old and New Meanings. The annual conferenece will be held in Tbilisi, Georgia. 24-27 September 2018 .